A robust hydraulic sweeper that is tailored to the operator. 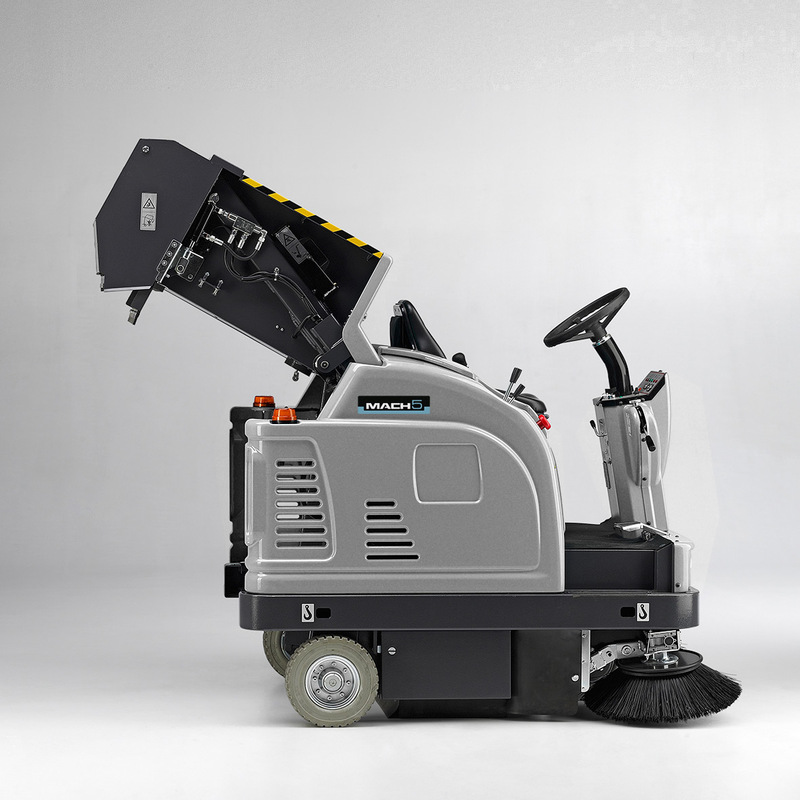 The MACH 5's compact design, high visibility and light-touch handling enable confident maneuvering in confined spaces, whilst vacuum filtration technology delivers the optimum clean. 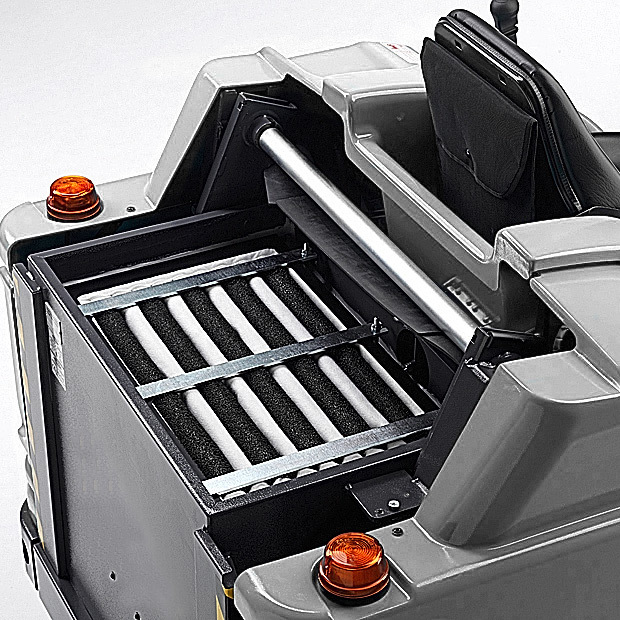 Top performing hydraulic sweeper, designed for maneuverability. Experience incredible cleaning power with the MACH 5. 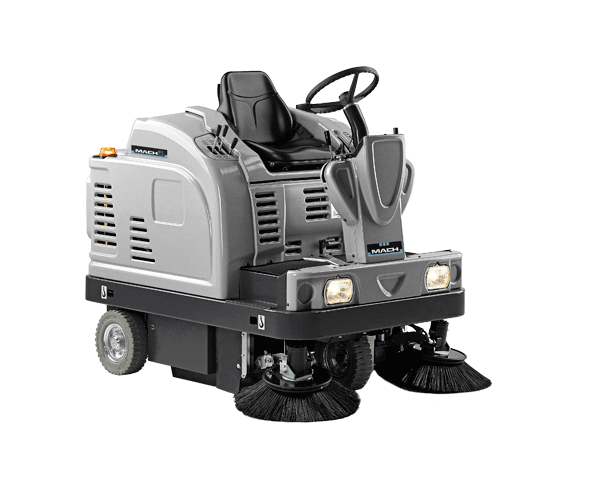 The 140 cm / 55 in sweeping path and 9 km/h / 5.6 mph top speed deliver a cleaning capacity of up to 12.600 m² / 135,600 ft² per hour. The MACH 5 is versatile on all terrains; with powerful traction control it can easily climb 20% gradients and impressive grip ensures responsive handling. One of the most remarkable design features of the MACH 5 is that it’s compact without compromising on performance, providing impressive maneuverability during operation and maximum productivity. 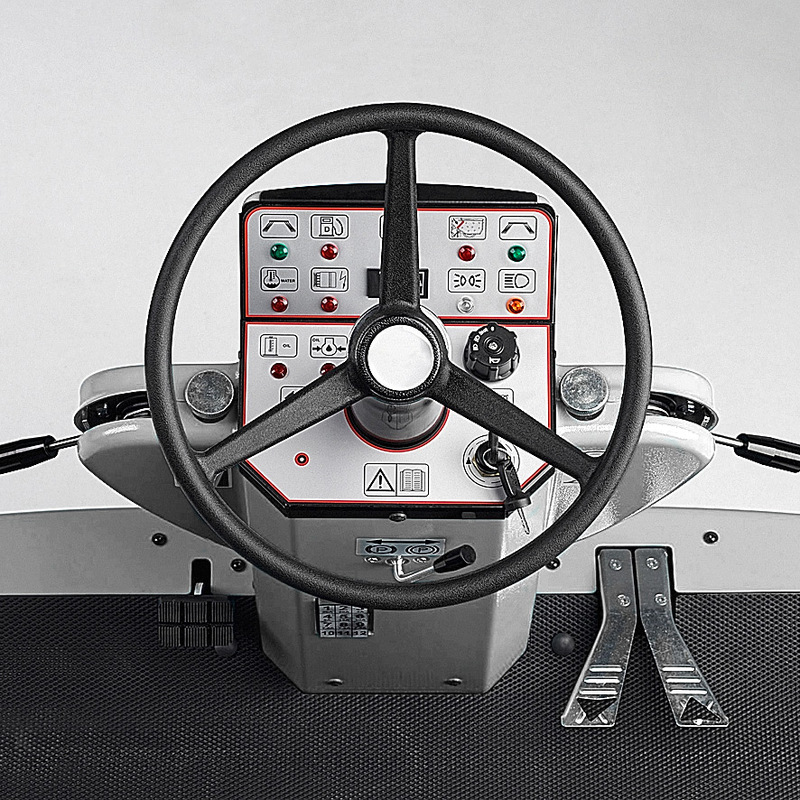 The 160 cm / 63 in turning radius enables the operator to confidently maneuver the sweeper in confined spaces such as narrow aisles or corridors. 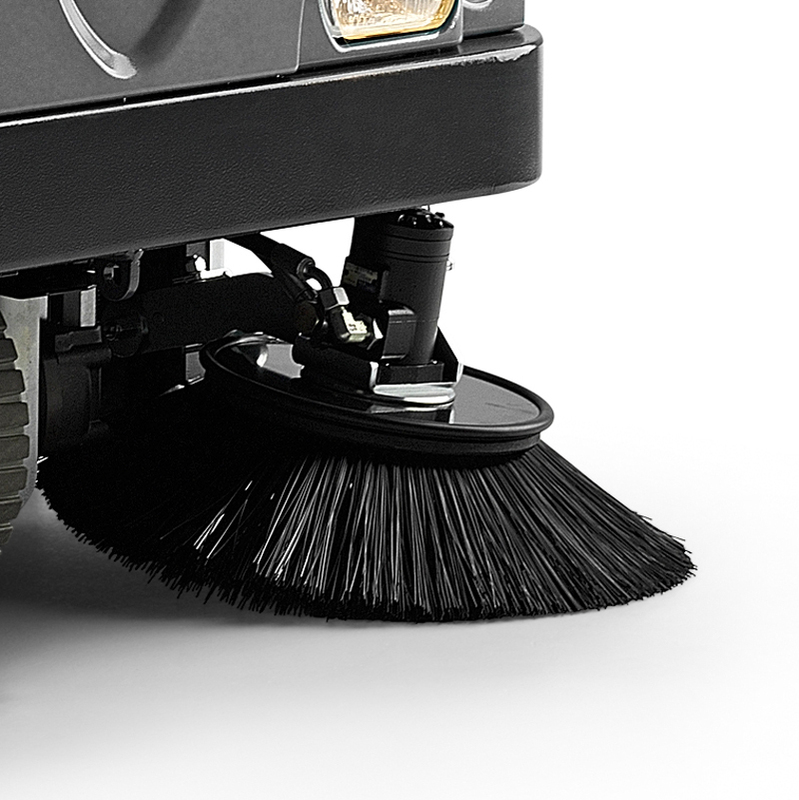 While the powerful top speed, vacuum filtration system and MultiBristle® brush ensure rapid cleaning and complete debris pickup in a single pass. The MACH 5 delivers incredible results, fast. EB Battery version perfect for both indoor and outdoor environments, with no emissions and silent operation. It combines electronic traction with a hydraulic multilevel dump system, creating a sophisticated machine that delivers on power and performance. Kubota 2 cylinder engine, continuous running time without the need to charge. 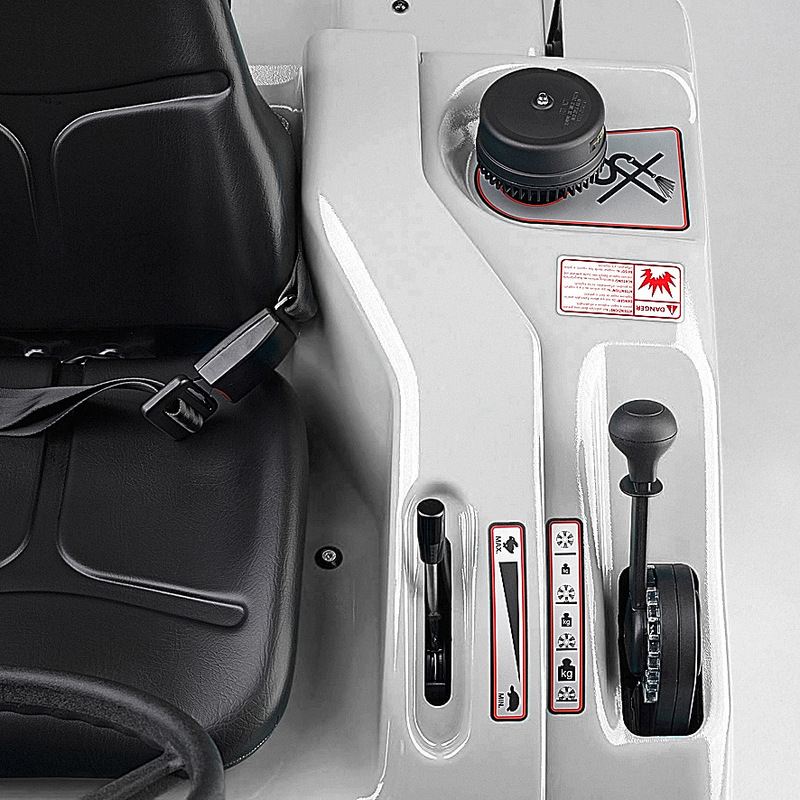 Fully hydraulic system including front-wheel drive, increases overall power and maneuverability. Suitable for outdoor environments, versatile on all terrains. Top quality, multi-level hydraulic emptying system, raises the 150-litre dirt container to 136 cm / 39 in for easy emptying that reduces downtime. Rapid tool free replacement of main brush and full access to internal parts via service panels, ensures quick and straight-forward maintenance. Large polyester house filter retains 99.9% of particles, delivering safe, dust-free cleaning. The filter can be completely cleaned via an automatic shaking mechanism and unlike a panel filter it doesn’t clog. 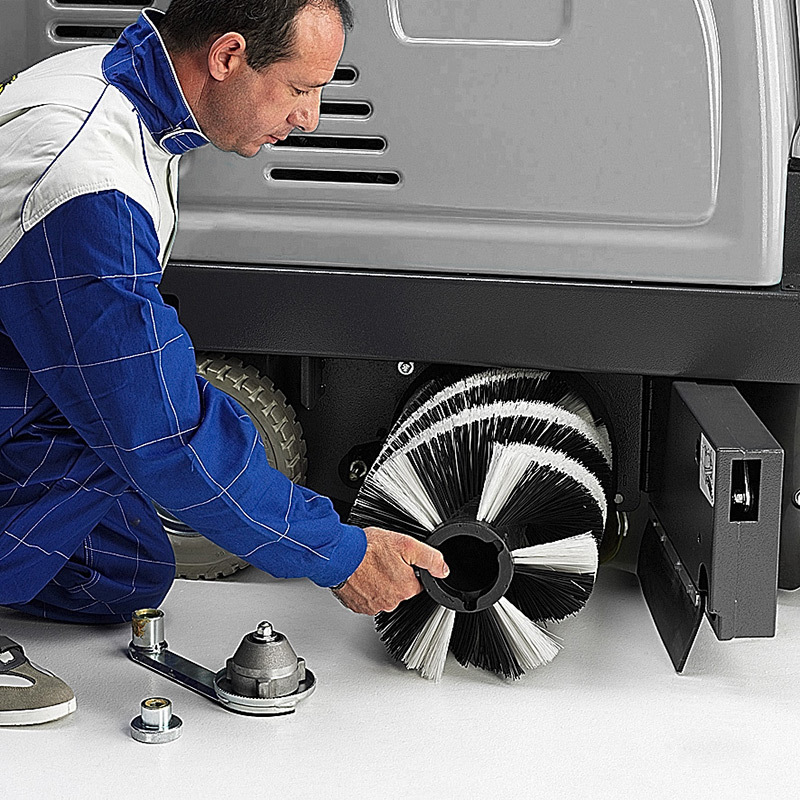 The MACH 5 delivers a large cleaning capacity, up to 12,600 m²/h. The 1.21 hp traction motor and 2.7 hp main motor are the most powerful on the market, enabling this heavy-duty machine to be extremely productive in any environment. 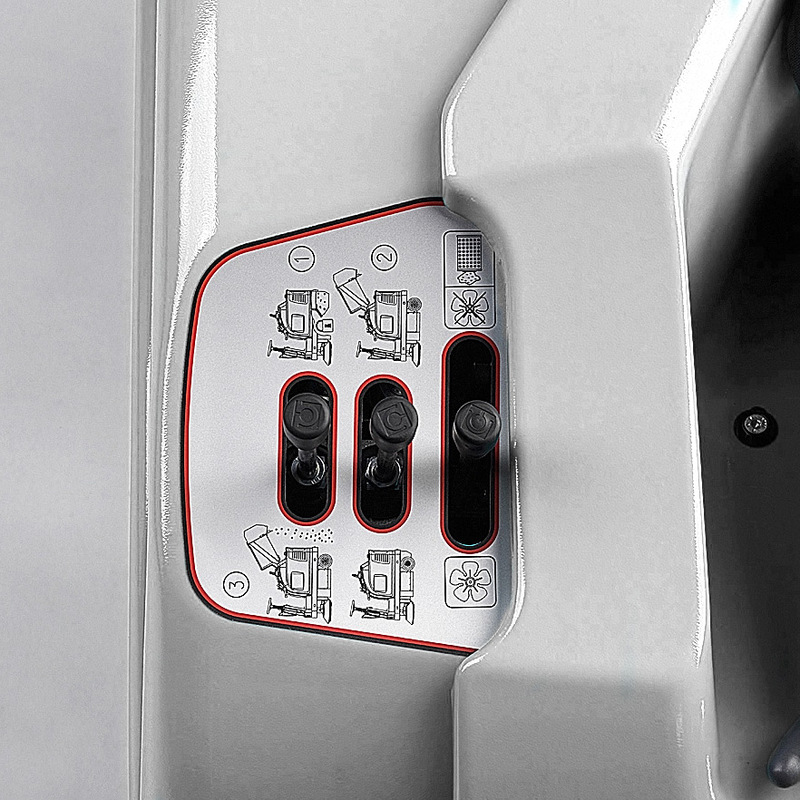 Full control of sweeping power via a quick access dashboard, ergonomically designed for simple operation. Forward and rear traction control via foot pedals is simple and responsive. The MultiBristle® main brush is suspended on floating mountains to accommodate uneven surfaces. The brush pressure is adjustable, ensuring consistent sweeping performance no matter what the environment. Activated from the control panel, the side brushes pass along edges and under low profile objects, effectively sweeping the hardest to reach spots. Designed to be highly resistant to wear and tear. Overhead guard, PVC windscreen, left side brush kit.